The Porsche 917 is one of the most legendary series of race cars ever built. It began with cars like this on tracks like the Nurburgring, Le Mans, and Spa. It culminated in the mighty 917/30 dominated the Can-Am Series right out of existence. There were 53 of the original 917s built beginning in 1969. At the end of 1970, Porsche had updated the car, dubbing it the “917/10.” This is the first 917/10 built, the prototype used for developing 917/10s that came after it. Wind tunnel testing began in 1971 and during that testing this car sported five different bodies. Over the years it has also been fitted with several different engines. It is currently restored to “1971 wind tunnel specification” with a 5.0-liter flat-12 making about 630 horsepower providing the oomph. During testing, the car was driven by drivers such as Jo Siffert and Mark Donohue. After testing was completed, it was sold to a privateer who campaigned the car around Europe, the U.S. and South America. Between the end of the 1973 racing season and 1997, the car sat in storage. Restored between 1998 and 2000, the car then entered the historic circuit. It was then restored again to the condition you see here, which is very interesting. Only about 14 917/10s were ever built. This one should bring between $4,850,000-$5,800,000. Click here for more info and here for more from this sale. 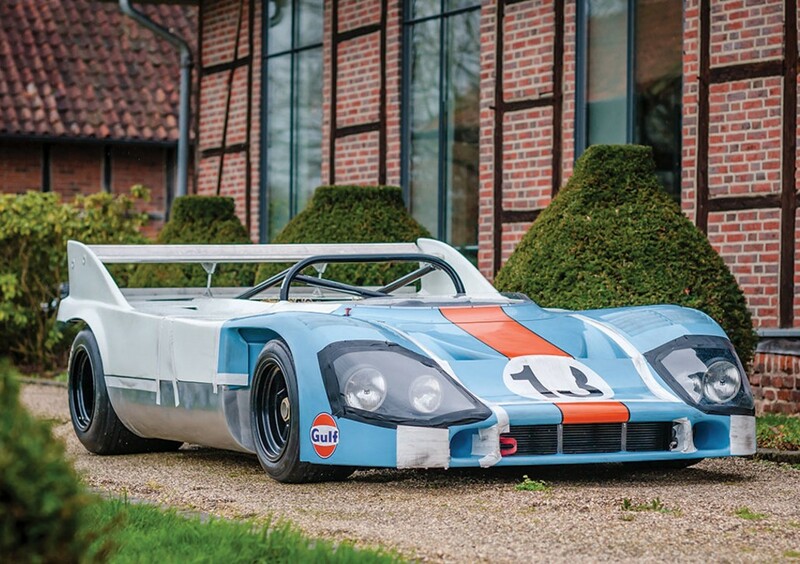 This entry was posted in Uncategorized and tagged 1970, 917/10, auctions, cars, classic cars, porsche, prototype, race cars, rm sothebys by classiccarweekly. Bookmark the permalink.